Book an appointment with our Vancouver car detailing experts. We’ll inspect your vehicle and make recommendations. 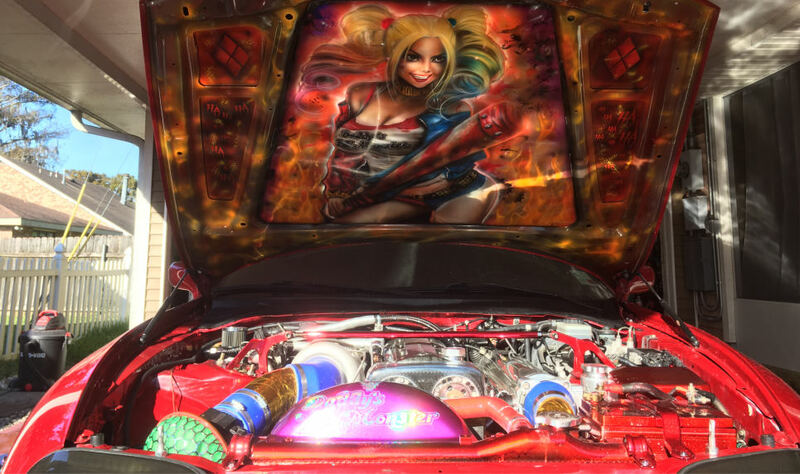 Car detailing means different things to different people. Unlike some Vancouver and Richmond auto detailers, who superficially vacuum, dust and damp-wipe interior surfaces, and wash and wax your vehicle, Gleamworks provides extensive exterior and interior cleaning and conditioning, compounding and polishing. 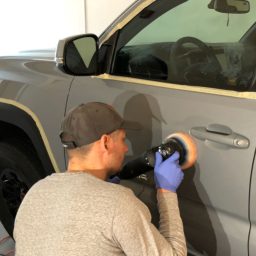 Our detailing process is methodical and exhaustive, and we use scientifically tested, industry-leading products, such as Optimum polishes and compounding, fabric, leather and vinyl conditioners. Our detailing services will make your automobile look great and last longer. We named our company “Gleamworks” because our goal is to make your automobile gleam, both inside and out. As soon as you drive a new car off the lot, interior surfaces and upholstery, and the automobile’s clear coat and paint begin to slowly, but surely, deteriorate. Over time, repeated washing, waxing, environmental pollution, road grime, chemicals, rain, snow, harmful UV rays and normal use age paint, fabric, metal, plastic and glass. This aging will become increasingly noticeable over time. Your automobile’s clear coat will become faded, dull and scratched; and, interior fabric, leather, wood laminate, and plastics will break down and show wear and stains. Our Vancouver car detailing services will make your vehicle look great and slows this process of decay. Car detailing is the automobile equivalent of a face-lift, but more importantly, it’s also the equivalent of preventive medicine for your car. An automobile that is detailed regularly (every year or two) will look new for a longer period of time. The car’s interior and exterior materials will also last longer. Whether you just love a great looking vehicle, want to protect your investment in a luxury or exotic car, or want to increase your vehicle’s resale value, Gleamworks signature detailing services will help. Hand car wash Car must be washed. Car must be washed. Interior detailing and coatingIncludes: vacuuming, fabric and leather cleaning, OPTI GUARD protection. Ceramic car waxHyper sealing with quick ceramic coating (protection for 1-2 month). Super shine and hydrophobic. Chemical decontaminationClay towel chemical decontamination. * Not recommended without polishing. 1-cut compoundingRemoves hard water. spots. * Vehicles must be clean prior to service. Car wash is an additional $50. ** Prices listed are rough estimates. Please book a free assessment for an accurate estimate. HUGE SAVINGS on detailing if you buy an Opti-Coat ceramic coating package! A touchless hand car wash is included in our Auto Detailing Standard package. 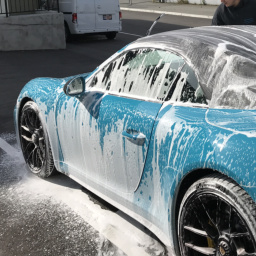 For our Car Polishing, Paint Correction and Opti-Coat Ceramic Coating packages, a hand car wash is available for an additional $50. Gleamworks uses No Rinse™ Wash & Shine - the most technologically advanced car wash system on the market today. It requires only 1-2 gallons of water to wash an entire car and leaves no soap residue. Its advanced polymers bond to paint, lubricate and protect it during the wash. The result is a clean, gloss finish. Waste water is safe for the environment and the product is water-soluble and biodegradable. We pride ourselves in providing among the most comprehensive interior detailing in Vancouver. 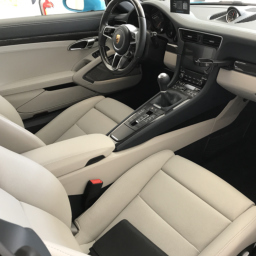 Interior detailing includes: vacuuming and pet hair removal; carpet and upholstery cleaning with Optimum Power Clean; leather and plastic cleaning; and, dashboard, console, door panel and floor mat cleaning. Ask about additional conditioning treatments such as Opti-Guard Fabric and Opti-Guard Leather and Vinyl - highly effective, hydrophobic conditioners that safeguard interior fabric and leather against spills and stains, fiber breakdown, drying and cracking. 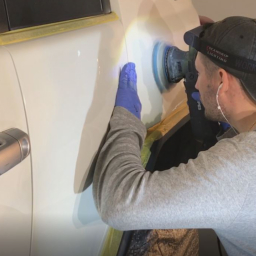 Compounding or “cut polishing” is the process of polishing your car's surface with a compounding paste or spray that contains microscopic abrasives to “cut” through your vehicles marred, deteriorating clear coat to remove imperfections. We use Optimum Hyper Compound - an advanced spray compound. Compounding cuts out these surface scratches, swirl marks and hazing. Each cut of compound removes 5 to 10 microns of clear coat. We ensure that at least 20 microns of clear coat are left intact, so paint remains protected against harmful UV rays and environmental chemicals. Compounding helps your vehicle look newer for longer. We apply polish with a soft waffle pad attached to a high-speed rotary buffer and painstakingly polish every inch of the car exterior in a two-step polishing process. 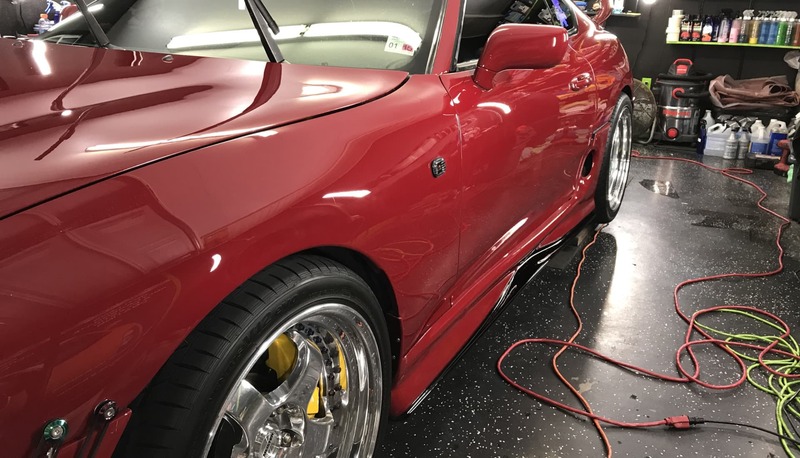 First, we polish the vehicle using Optimum Hyper Polish - an ultra-light combination cutting compound-polish - that improves or removes remaining micro-scratches, hazing and particles. Then, we apply “Optimum Finish” that results in a mirror-like, ultra-gloss finish that enhances colour richness and depth. How much does detailing cost? View our auto detailing pricing table above. Prices listed are estimates. The cost of detailing will be determined during an assessment. Book an inspection and receive an estimate. Detailing takes from 1/2 day to a full day depending on the size of the vehicle and the condition of the interior and exterior. Ceramic wax is a hard, transparent coating that is much more durable than regular car wax, offering more protection and greater sheen. Ceramic wax lasts for approximately 2 months. While some car owners have detailing and a full Opti-Coat ceramic coating package done at the same time, others don’t want a full coating package. Ceramic wax offers similar protection and a superior gloss finish, but for a shorter period of time. Will detailing eliminate the odour of tobacco smoke or pets? Yes, cigarette smoke and pet odours can be eliminated. We use cleaners and processes that deep clean upholstery and other interior surfaces made of vinyl, plastic, and leather are cleaned. My car's upholstery has stains. Can they be removed? In many cases, light to medium fabric and leather upholstery stains can be eliminated and most stains can be reduced dramatically, so they are much less noticeable. We use steam cleaners and state-of-the-art cleaning solutions, such as Optimum Carpet & Fabric Cleaner, which unlike many cleaners, doesn’t contain surfactants – oily residue that attracts soils, dust and dirt. Optimum Fabric Cleaner contains polymers that trap and remove dirt and bond to fabric fibers to protect them. Do you detail luxury and exotic cars? Gleamworks specializes in providing auto detailing for luxury and exotic cars. However, we do detail a broad range of vehicle types, sizes, makes and models from family sedans to Ferraris. Detailing improves and protect all cars and our customers come from all walks of life. Where is your car detailing shop located? Gleamworks car detailing shop is in Vancouver, but our customers come from all over the Lower Mainland, including: Vancouver, Richmond, Burnaby and Surrey.